This site is a must for the serious Northern Ireland Researcher. The web site has recently had a fresh up date which is easy to navigate. Its free to search but credit is needed to view the records. You can also take out a paid membership which will reduce the credit needed to view the records We worth a look and time spent. Many Irish Researchers would agree that Griffiths Valuation is a resource that they will return to constantly. The one here is very easy to use. When searching, just put in the information that you know. A full microfilm copy of the 1901 Irish Census is available at the LDS Family History Library in Salt Lake City. You may order a copy at your local LDS Research Centre. Other Counties are Galway, Leitrim, Sligo, Mayo, Roscommon, Westmeath, wexford. I have just read an article in the 'Irish Central' newspaper. It appears that history is repeating, new data shows that 500,000 Irish people are set to emigrate from Ireland in 2010. Ireland's population is set to plunge to its lowest point since the 1950's. Ireland's Labour Party says that data from the tax authorities and the Central Statistics office shows that nearly 500,000 people will flee the country in 2010. "Unlike past episodes of emigration which were confined to the poorest under-classes, now figures as diverse as the man with two kids and the 4x4 Jeep who worked in construction, to newly qualified teachers and wealthy professionals are all preparing to emigrate," she said. Have you revisited lately research that you did a few years ago. Someone made a comment to me today about a family line that i had researched a couple of years ago. I reviewed this family and found that i had gone back as far as 1746. The names were familiar but it was not a study that i had been drawn to . I have my most intriguing families that i always return too. This family looked very interesting today and i should go back into it as fresh information may be available now that i hadn't used before. We tend to dwell on the same research, sometimes going round in circles when the information is there .If only we had asked Great Aunt Mabel in the begining we would not have spent all those sunday afternoons searching the internet. I think i should make a to do list and put in order the research i have to do , should do and i know now which one i will do. The one which is the hardest but one day it will all be solved. I love starting a new family tree, the pickings are rich and the satisfaction is in the search. If you want to research your own tree or get someone to help you ,the beginning is always the same. Make notes of what you know already. Begin with yourself , then put in your parents, then your Grandparents. You may know lots about them or just a little bit . Ask any older relative for information that could help you. Names of siblings of your grandparents can be the key to finding your family in the census. The name of a town or County can also be a deciding factor. As many of us are descended from Irish stock a good place to look for your family is in the Free 1911 Irish Census. It is very easy to use, bear in mind if you don't get results the first couple of times, then drop some of the information entered and try again. Have a look at the 1911 Irish Census . Find all your Irish Ancestors who were living in Ireland in 1911. The Census Records for all the counties of Ireland are now available online free. These names have been taken from the book 'The Great War' 1914 -1918 New Zealand Expedifionary Force Roll of Honour . The book had originally been published in 1922. Search the Catalogues and Directories, explore the Maori world. 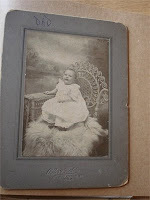 For the family history researcher there is a Family History Collection. The Department of Internal Affairs BMD registers maintain the New Zealand Birth Death and Marriage records. Use this site to request copies of these certificates. Take another look. The new townlands for the 1901 census are Dromara, Derry, Begrey and Dromara Village. I have no conection with New Zealand ,so i did not start out intending to cover that area. I have so many New Zealanders reading this blog that i thought i should try to help them too. 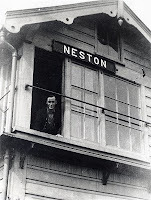 This web site has many interesting lists of Passengers who sailed to New Zealand in the hope of a better life. This site offers a good source of Australian History. It will be able to fill in the gaps for overseas researchers who may not know all the facts about Australia and her beginning. Are you looking for the journey of an Ancestor who left Ireland? The Irish left the Emerald Isle in droves in search of work and a better life. Many went to the United Kingdom but they also went to Australia, New Zealand and America. This site has a Database of those leaving from Newry, County Down in 1847 TO 1851. If you have been researching your family history and feel that you are at the final stages. Then this may be the next step, to publish your own story. I came across this site today, i have not used it but its worth a look if you have been looking for the next stage in your research. A book about your family history could include photos and personal letters and would make a special gift. Have you taken out membership of the biggest company for Family Research? What have you thought about the service they give. That is an amazing site and one where you will always return to during your family research. Personally i have found good and bad things about the site. They were very helpful in the beginning of my research but as you progress, their information becomes very limited. Free sites ,like this one are there to help you and i hope you will find some useful information from the links to Genealogy sites. If you have had a success in your research, then leave a comment and tell us all about it. Ancestry.co.uk has just released a new collection which will mainly interest people from the United Kingdom and Australia. It is the Criminal Registers for England and Wales for the years 1791 -1892. You will need membership at Ancestry to be able to search and view the results. They are still offering 14 days free trail. If you have not given them a go before ,then this may be the time to do so. You may be able to find some of your ancestors who were banished to Australia. This is for all the Northern Ireland family History Researchers. Valerie Adams the Head of Strategic Development at PRONI gives us a tour of the search rooms. This may encourage locals researchers to visit but it will only make the rest of us who live overseas, wish we could visit. Valerie gives some useful tips for online searching. Most people who spend time doing their research on line would have heard of 'Facebook'. No doubt quite a few of you will be a member of 'Facebook' too. I have worked out a system for finding old school friends, i look for their children. This has worked a number of times for me as the 'Children' are now all in the early 20's age group where membership of sites like facebook seem compulsory. I found an old school friend yesterday we haven't seen each other for 30 years. It was nice to look through the photos that she had on her page. There was one photo there, a group photo taken at our high school reunion in 1991. I did not attend this as i had moved away from the area. It was good to spot old school friends but the thing that stuck me the most was how dated they all looked with the "big hair' and floral dresses. So try out facebook if you have not all ready and find old friends from your past. One of the most searched Keywords on my site has been for Free BMD Records for Northern Ireland. At the moment there is not a site out there offering all of these records . These are my favourite sites that offer some information but not all. Emerald Ancestors offer a free search but to get the most from this site you have to pay for membership. At 10 pounds for one month this is really good value i have found it to have been the best site in finding results. If you have friends who are also researching Northern Ireland, then take it in turns for membership doing look ups for each other. Most people researching County Down will have used this site but if you are new to research then this site is full of records. Take the time to search through it and bookmark it .It will be a free resource that you will use constantly. If you are looking for census records for County Down,then take a look at this site. The site owner is researching his own family 'Meaney' but also has databases of the 1901 census. Just called by this site today and there are a great deal of new records that have been added to the Database. I e-mailed the author of the site a few weeks ago and told him that i found his site really interesting.I asked if he would be updating soon, he replied that he would update as soon as the new information became available. So stop by and see if the records you are looking for are there. Old letters can set a scene from the past and give us a real insight into the writer's life…The letter or parts of the letter can become a feature on your family tree. Did any of your Ancestors leave their country and head off in search of a new beginning. If you can find that journey, then that can also become a feature on your family tree. Passenger records are available for you to search through. They can hold some interesting information. Usually the name and age of the person, whom they were travelling with, their occupation, where they were heading to once the ship docked, how much luggage they were taking with them. Who ever said that writing a Blog was easy got it wrong. I have been going round in circles trying to get my new Custom Domain up and running. This has been time consuming so much that i have not had time to write the blog as well. With some help from the Blogger help forum i am hoping that things will be back to normal soon. and yourancestorsfree.com is also being redirected into www.yourancestorsfree.com. I am sorry if you came across 'pages not found' things should be running well again in a few days. If you have any questions with your research just leave a comment and i will try to help. As Irish researchers know there is not a great deal on the Internet about the 1901 Irish census. Take a look at this site, the census is available for quite a few places.I was lucky and found the Ancestors that i had been looking for. In a earlier post i wrote about the research that i had done on Frederick William Pennington. Within a few days the research had drawn comments that i had the wrong parents for my Frederick as they were they parents for his Frederick ,who was not the same one as mine. After going through my research and notes i agreed with the reader that i had made a mistake. That was a few months ago and since then i have finaly found more records on Frederick. I had been looking for months for William Pinnington and his wife Ann in the 1851 English Census. Frederick would have been just a baby,so they should have been easy to find. I was on Genealogy forum and i was very thrilled to have this problem solved. The Pinningtons as i have since discovered this was how they spelt their name,were in the 1851 cenus but their name had been copied down as Vinnington.